Deborah Sirjoosingh, a Canadian PAOC Global Worker began ministering to the Turkana people in Northern Kenya over 30 years ago. Her vision and passion to better serve the people is to complete a health clinic that will meet the needs of the communities she has faithfully served for decades. Her vision is to bring hope and God’s love to each person – from the smallest child to the elderly. With Deborah, ERDO, the PAOC, the Turkana County PAG Church, and the Ministry of Health in Kenya joining forces, a wonderful thing is happening for the Turkana people. Deborah’s vision is becoming very real in the form of the Namoruputh PAG Health Center. 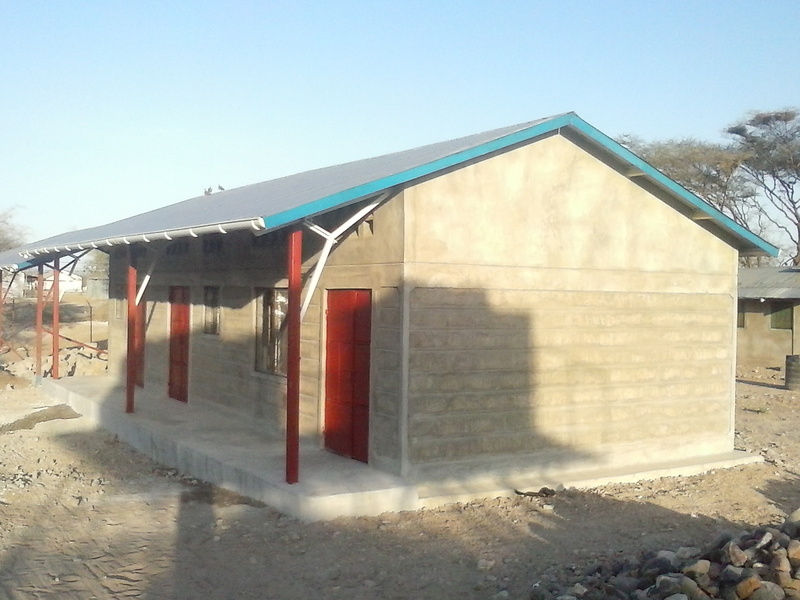 In September 2013 construction began to transform the current Namoruputh Dispensary located in Loima, Turkana into a health centre that is projected by 2017 to double its service to reach over 50,000 people. 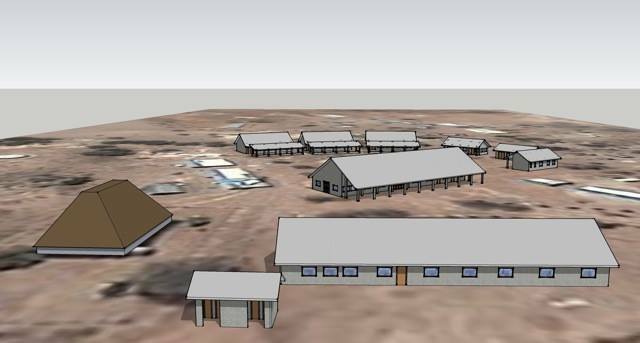 In such a remote, arid area where life is harsh and food is scarce, this expanding facility is a beacon of hope. People now travel by foot for up to a week to reach this facility in search of treatment and the Christ-centered compassion that it offers. Water and sanitation are critical in healthcare and the prevention of disease. 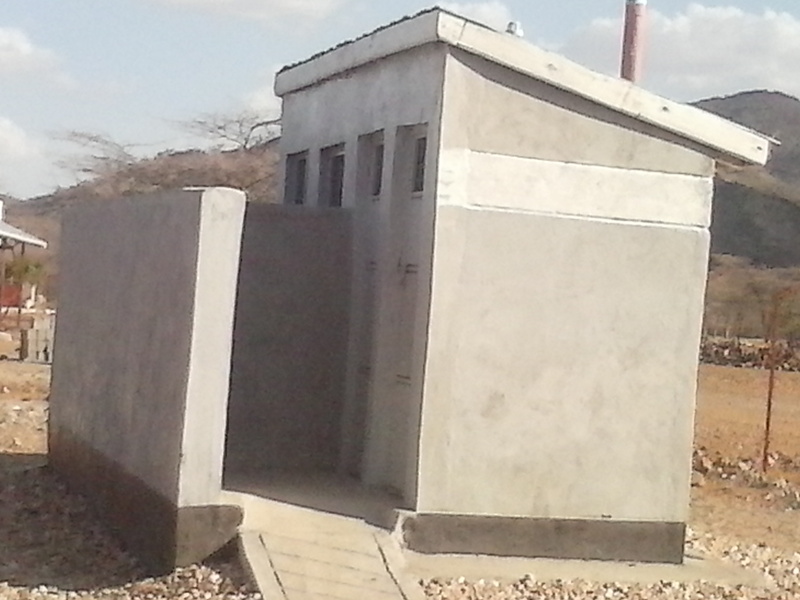 These are the on-site latrines built during Phase One. Thank you for supporting Phases Two and Three of this visionary healthcare project by making a donation today. If this donation is being made in memory of a loved one, you will have the opportunity to notify the family on the donation page by sending an e-card. Thank you for your support and for honouring your friend or loved one in this way. Before the expansion project began, the facility included one laboratory room, three rooms for HIV/AIDS services, a maternity unit, a food storage unit and a general consultation area. The dispensary provided curative outpatient services, nutrition services, laboratory services, maternity services and logistical transport resources reaching approximately 25,000 people. While ministry to the sick was taking place, the needs in the community exceed what the current facility offers. There is no health facility within the Loima area that offers in-patient services and has standard out-patient care. This forces patients to be referred to Lodwar District Hospital 90 km away – a distance almost impossible to reach on foot when sick, malnourished and without water. The Namoruputh Health Centre includes construction of three blocks of buildings (a Comprehensive In-patient Block, an Out-patient Block, and an Administration Block) per Ministry of Public Health and Sanitation standards, and align with the Kenya Essential Package for Health (KEPH) that identifies the community as the primary focus to promote health and prevent illness. Upgrading from a dispensary to a Health Centre (including in-patient services able to admit severe medical cases requiring close medical attention) will improve access to quality maternal, neonatal, child health and family planning services. At the end of October 2014, Phase Two of the building project began. Phase One was celebrated with the construction of the kitchen and latrines. A family’s memorial gift has resulted in the construction of a solar powered water pump that is servicing the facility with clean, fresh water. 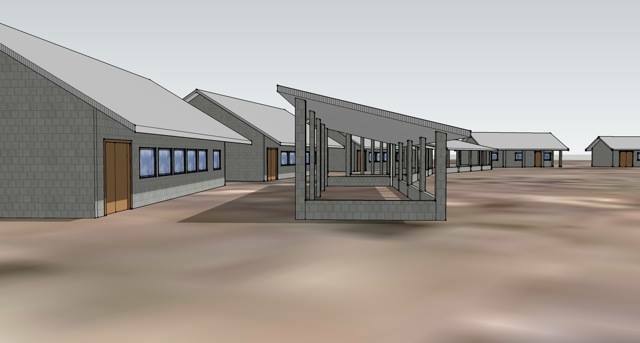 Funds are needed to complete the next phases of this building project to meet the needs of the Turkana people. To donate to this vision of health and healing for the Turkana people, click the donate button. To watch a Kenyan News production about the health centre and the community needs, click here.